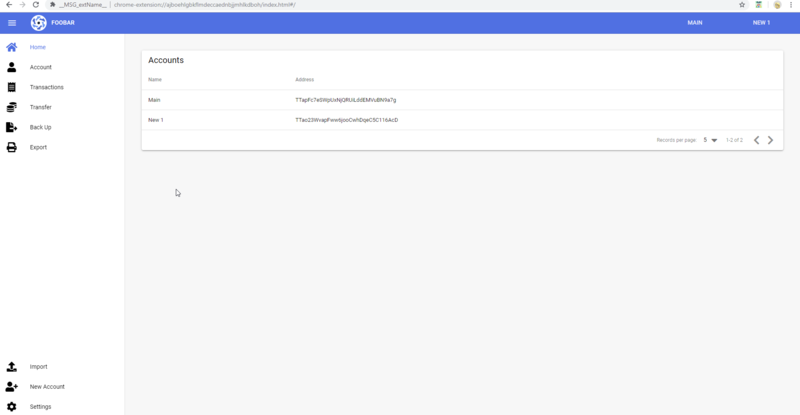 I've working on a NULS Chrome Extension, allowing users to transfer funds, interact with smart contracts, and their account. Most of the screenshots are of desktop view but everything does work in small screen size (which is a requirement). Due to the tool-chain I've used and the responsiveness design, I should be able to port it over as a mobile application and even a desktop application. I have not explored these paths yet (ie prototype built) but I have kept them in mind during development, my understanding is that it will be possible and could be something to investigate once the major features are released. Pop-up: Currently the extension looks like this when you open it via the pop-up menu. This is just a placeholder while I work in full screen mode. Clicking the button (or right clicking the extension) opens it into full screen mode. Eventually the full screen mode will show inside here as well. Standalone (fullscreen): This is the homepage of the standalone. This will eventually all be viewable inside the pop-up menu in small screen version. Here we're just viewing what accounts I am logged into. The top right allows me to switch between accounts, and the right menu (which is closable) are the pages I can visit. Transactions: Viewing recent transactions. Note; Balance is not outputting the correct data. Transactions: Opening the extra details of a transaction. Transactions: Viewing recent transactions in small screen size. Transfer: Form to transfer NULS. Transfer: In advanced mode we can add more receipients, add a remark and change the transaction fee. Transfer: Showing validation handling. This type of validation UI is on all forms. Transfer: Sending a transaction. 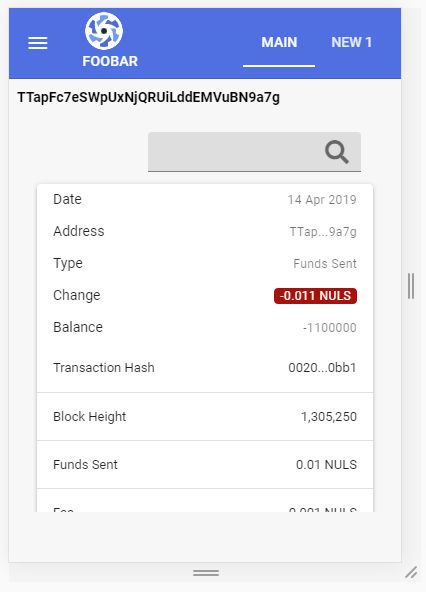 We packet the transaction locally using nuls-js and send it to https://explorer.nuls.services. Pipeline feature is to allow users to choose where to send their transaction in the settings area in case servers go offline/latency. Import: You can import an existing account which is encrypted or decrypted. Create: You can create an account with a required password and name. The name is only used locally within the extension (see top right where you can switch between my MAIN and NEW 1 accounts. Setting: For now you can only manage the release which allow you to choose between MainNet and TestNet, both work for getting/sending transaction. Setting: The API Network menu only has NULS World listed as a short term solution. This is used for getting transaction data. This allows me ot quickly mock-up a frontend without a backend. The long term plan is to build a backend dedicated to the extension for providing all the API information, this also allows me to customise it for what is needed and work heavily on making sure it's fast with returning data. Another idea here is popular Agents (Node owners) can run this API Server alongside their Node, this will allow people to use Agents for reading data in the extension (again for offline/latency server issues). This will promote Agents who provide helpful tools to their stakers.